What Does a Web Marketing Company Do? Before the Internet Age, marketers thought they had it tough trying to crack the brick-and-mortar retail world. These days, a web marketing company is up against exponentially more competition as it implements the processes that generate more business and online brand awareness for a client. Exactly how much competition? According to a 2012 survey by Netcraft, 140,000 new websites go online DAILY, and a large chunk of them do so with an eye towards making money. It’s a web marketer’s job to help a client navigate this endless jungle and snag market share. How do they go about this seemingly impossible task? We thought you’d never ask. While the term Search Engine Optimization (SEO) gets all the headlines, a savvy web marketing company realizes that there are three factors that contribute to the overall success of a strategy. They are SEO, ad spend optimization and website optimization. Let’s take a look at each. SEO encompasses all the ways a website marketing service helps achieve ever-higher rankings in targeted search engine results. When we say search engine, we primarily mean Google, since it accounts for almost 70 percent of all online searches. Of lesser importance are its competitors Bing and Yahoo. The Holy Grail of SEO is to land your website, or even an individual page, on Google’s first results page for a keyword you want to rank for. The next area of concern, and one that too many web marketers lose sight of, is the necessity of analyzing and optimizing money spent on any particular ad campaign. Through the use of web analytics, it’s a relatively simple task to figure out which ads and strategies are working, almost in real time. Once a high or low performer reveals itself, it is the marketer’s job to shift spending from the latter to the former. Especially in online marketing, with such a massive potential global audience, it’s critical to spend money on what works. Website Optimization: The final piece of the SEO puzzle is website optimization, which consists of tweaking the actual content, title, headlines, and meta description on the website to facilitate that climb up the search engine rankings and generate more business. Why all the hullabaloo surrounding organic (free) traffic? Can’t you just pay for ads at the top of search results pages and get all the clicks you want? Yes, but that’s not exactly what you want to do. While there is a time and place in a marketing campaign for search engine ads, the numbers tell us that organic traffic generated through SEO tactics is far superior. Here are some numbers worth mentioning. 1. 90 percent of all clicks on any search results page go to organic listings – this is what your website marketing service is helping achieve. Only 10 percent go to paid ads. The bottom line is people rarely click on sponsored ads when given the choice to go organic. 2. 91.5 percent of searchers click on a first-page result. That drops to 4.8 percent on the second page and really takes a dive after that. We’ve discussed in general terms what SEO is and how it can help your business. Now let’s take a look at the specific tactics a marketing company might take in furtherance of your cause. 1. Site Audit: Before anything, a good marketer will conduct an examination to assess where SEO improvements are needed. It may be that a complete overhaul is not necessary, but then again, maybe it is. A good website marketing service won’t dive in with all kinds of recommendations until they know what the present reality is. 2. Optimize SEO Elements: Any page posted to the internet has the same elements courtesy of a coding language called HTML. We’re talking about headings, sub-headings, body text, meta tags – all these need to be carefully crafted around keywords. Google looks for certain things in these areas and penalizes a website with a lower search rank if found lacking. 3. Content: For a few years now, Google has been telling anyone who will listen that creating readable, targeted content is the ultimate goal. 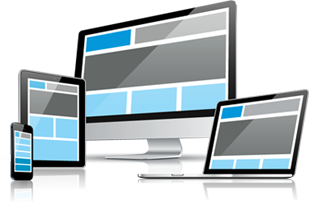 A website will be rewarded or punished for how well it performs that simple task. A good web marketer can help with this. They should understand what the Google algorithm is looking for and guide your content creation accordingly. Of course, much, MUCH more goes into SEO, but this gives you an idea of what an online marketing company does. In essence, anything and everything related to using Google-approved methods of attracting traffic are fair game. Marketers and website owners alike should understand that what’s good for Google is good for them also. Google’s ultimate goal is not to bring the universe under its yoke, but rather to provide the absolute best, most targeted search engine results possible. When a searcher types goldfish training, they don’t want to bring back a dozen pages of results related to gold paint or Olympic training or some other completely unrelated topic. A searcher must be able to find exactly what they want quickly. That should be the goal of everyone. It’s good for Google, good for you, and good for the world. A serious web marketer already understands this and will guide you accordingly. Those who were paying attention might have drawn the erroneous conclusion from our previous comments that there’s no sense in buying ads on search engine results or other websites. You may remember than we noted only 10 percent of searchers click on sponsored ads. While that’s true, the thing to keep in mind that 10 percent of the global market can still be a huge freakin’ deal and amount to a tsunami of traffic you can summon at will. That last part is important. With PPC traffic, you can generate traffic almost instantly. The organic route can take a while to show results. To get the PPC ball rolling, your web marketer opens an account for you with an advertising network like Google AdSense – there are many others, but this serves as an easy example. You can choose to have your ads show at the top of results pages for certain keywords or on other websites. After the ads are designed, they go live, which simply means that anyone browsing the internet can see and click on it. For each click, you are charged a fee that, depending on the popularity of the keyword among advertisers, might range from a few cents to a few dollars or more. Certain keywords related to insurance and health conditions bring upwards of $50 a click. As you might imagine, this nosebleed territory is occupied by mega-corporations with multi-million dollar marketing budgets. Every time someone clicks on one of your ads, the cost is deducted from your account. Keep in mind, you know in advance how much you will be charged per click and can set a daily maximum so you don’t blow through your account in a few hours. How can this help your business when it seems like all you’re doing is paying the network? Here’s the magic. With each click, you get to send the visitor to the page of your choice. It’s your chance to make a sales pitch, show them products, collect their email address. If you bring in more through sales than you’re paying for clicks, you’re golden. Social media marketing is rapidly becoming a huge part of a company’s overall marketing strategy. Think of it as the process of gaining attention through social media sites like Facebook, Twitter, YouTube, or Instagram, and directing the resulting traffic to your website for the ubiquitous sales opportunity. The trick to this process, as your web marketer will understand, is that social media users are resistant to being marketed at. The tactics of radio, television, or even online banner advertising will not work. What does work is to regularly post interesting and entertaining content that encourages a conversation between you and your followers. Once you earn their trust, you can gently begin the task of making recommendations related to your expertise and which, oh by the way, might happen to generate a dollar for you at the end of the day. The secret sauce to this whole process is trust. Once you gain the trust of a follower, and never, EVER abuse it, they want to buy from you over and over. That’s a good place to be. Like other organic traffic methods, social media marketing gains momentum over time. It’s not an instant payoff but it can be a huge one down the road. Once you position yourself as a thought leader in your niche, there’s a good chance you’ll find business is booming back at the website. One estimate says that 74 percent of all internet traffic in 2017 will be video. The same study by Syndacast claims simply using the word “video” in an email subject line increases the chance it will be opened by 19 percent. And how about this number: 300 hours of video are uploaded to YouTube every minute. We said all that to say this. Videos are the crack cocaine of internet users. We don’t even know why we like it so much, but the reality is undeniable. If video marketing is not part of your web strategy, it should be. The great part is you don’t have to be Steven Spielberg, you don’t have to own a video camera, and you never have to show your face on screen. For all the same reasons you choose other types of marketing, you should choose video also. The numbers quoted in the first paragraph of this section tell the story; video is here and it’s here to stay. Ignore it at your own peril. Let’s bring this thing home. 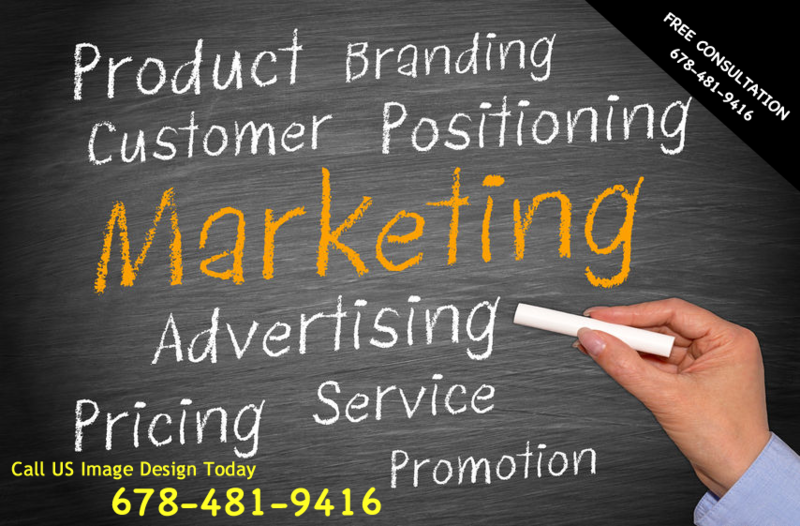 A good online marketing company does all of the things we’ve discussed here and more. They will have the experience to know that it’s not about crushing one strategy above all others. For example, you should be making small SEO tweaks on a regular basis to help build organic traffic flow. The primary Google algorithm that determines search engine results changes about 500 times each year as it is perpetually fine-tuned, keeping the digital marketing industry in a constant state of change and evolution. Your best approach will likely be to spread your ad dollars over a variety of marketing channels. You’ll likely want to run PPC ads in addition to organic traffic methods. Social media marketing should be in the mix in a big way, as should video. Over time, you may find that some methods work better for your particular business than others, or that the popularity of channels fluctuate throughout the year. Try them all and track how they work. Don’t put all your eggs in one basket, though. Like loading your portfolio up with a single stock, it’s just not good policy. While it’s likely that you could, as a business owner, become an expert on the major strategies related to marketing your product or service, the question becomes whether that is the best use of your time? Paying a web marketing firmshould actually save you money as it hands back to you more time to invest in improving your product or service. It’s hard enough to stay ahead of competitors without having to keep abreast of the entire digital marketing field as well. Any digital marketer worth his or her salt should be able to show you in quantifiable ways how he or she earns their keep. There are techniques available to measure where every click came from, where it went to, and how much it cost you to acquire them as a potential customer. Ask intelligent questions, keep the lines of communication open, and sell, sell, sell!